The privatisation of Britain’s rail network by the last Conservative government was, and still is, a highly controversial issue. But whatever you think you know about the principles and processes, this book will increase your knowledge. Its sub-title, ‘How ideology and incompetence wrecked Britain’s railways’, hints at a tabloid journalese approach to the subject, but this is misleading. Christian Wolmar has a well-founded reputation for being outspoken and he certainly takes no prisoners on this occasion. However, much of the background information he imparts was hidden from the mainstream national media and even those of us observing closely from the sidelines were largely unable to see the chicanery going on behind the scenes. As he points out, many of those politicians enthusiastically driving the privatisation process clearly knew little of the rail industry or the way it works. The fact that they were openly critical of what was arguably the most successful and accomplished BR management team since nationalisation was proof enough of this ignorance. Constantly eschewing sound professional advice, the politicians and their civil servants drove the process forward regardless. Indeed, as one who had seen National Bus Company privatisation from the inside, your reviewer looked on with growing dismay and a strong sense of déjà vu as many of the same fundamental errors were visited upon the railway industry. The first part of the book is essentially an updated version of a previous title, Broken Rails, which was itself a largely contemporary record of rail privatisation. To set the scene, it includes useful background material about the nationalisation of the railways and the consequences of the Beeching era, as well as the issues surrounding sectorisation in the 1980s. This is also where the reader will find the ‘hidden’ stories of farcical decisions and dubious misinformation. Although the Conservatives avidly pursued privatisation, the incoming Labour administration also failed to heed advice and, in the main, was equally ineffective. The book details Railtrack’s collapse and its handling by Government, as well as delving into the background causes of accidents such as Southall and Ladbroke Grove. Some of it makes important, if somewhat uncomfortable, reading for transport professionals. 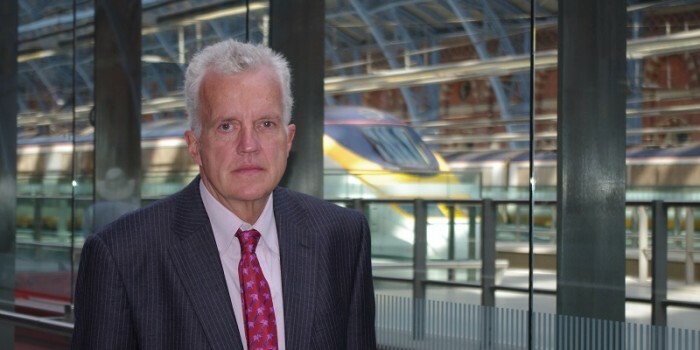 If there is a single flaw in Christian Wolmar’s arguments, it is to play down the undoubted successes of privatisation. It is true that there have been colossal problems to overcome which have diverted precious resources – especially human and financial – away from the front line railway, but with substantial investment in new trains and unprecedented growth in passenger numbers it is not all bad news. Talking to senior railwaymen about the book elicited similar opinions. They applauded the author’s exposé of information which had hitherto been largely hidden from public view, but expressed concerns about the lack of balance. In short, their view is that the industry has got its act together and is best left alone to deliver now. However, the fact that one of the stated aims of privatisation – to save public money – has thus far had the totally opposite effect cannot be ignored. It is worth mentioning that On the Wrong Line reflects the rail industry as it was in 2004 and much has happened since then. However, this takes nothing away from a book that paints such a comprehensive picture of rail privatisation. Leaving aside questions of bias, it is arguably a seminal work which – depending on your viewpoint – has the capacity to educate, entertain and enrage the reader, often in the same chapter. While there are undoubtedly some natural target audiences for Christian Wolmar’s work, this book can also be recommended to anyone who wishes to understand the bewildering and often scurrilous way in which critical national transport policy is developed. You will not be disappointed.